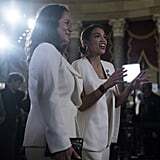 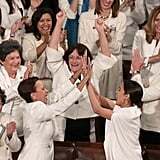 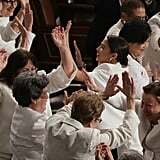 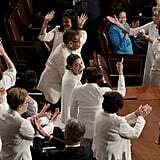 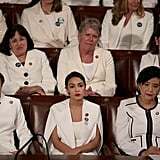 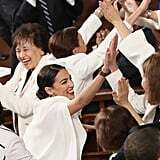 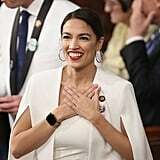 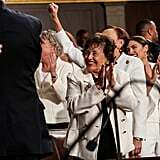 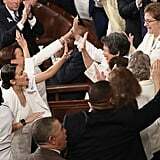 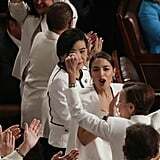 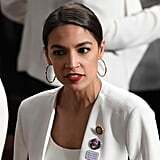 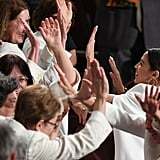 When Alexandria Ocasio-Cortez joined her fellow female lawmakers and congresswomen at Donald Trump's State of the Union address on Feb. 5, she was dressed head to toe in white to support the women's suffrage movement. 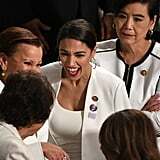 The photos of her with a cheerful smile on her face, high-fiving the smartly dressed ladies in the room when Trump acknowledged their success, are more than enough to admire. 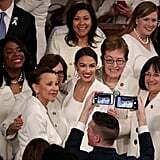 "No one has benefited more from our thriving economy than women, who have filled 58 percent of the newly created jobs last year," the president stated. 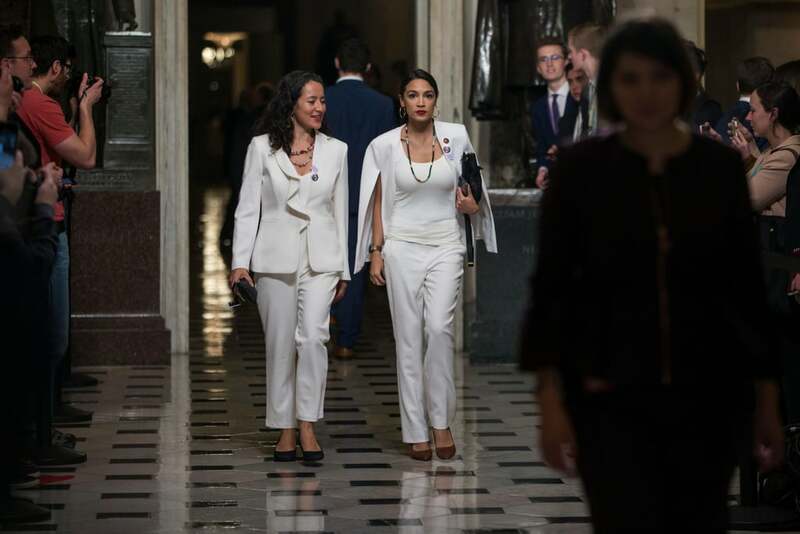 But we much prefer the shots of Alexandria's bold entrance with Ana Maria Archila, coexecutive director of the Centre For Popular Democracy Action, by her side. 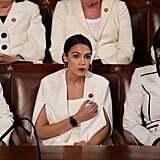 Alexandria's puckered red lips, gold hoops (the same ones she wore for her swearing in), and confidence were the only accessories she needed for her swingy blazer cape, which some people have identified as this $90 design from Zara. 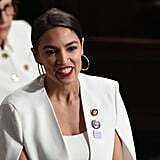 Alexandria completed her outfit with her WFP pin and one with a photo of Jakelin Caal, the Guatemalan child who died in custody of the US border patrol. 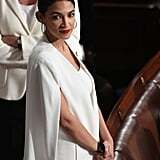 She wore a beaded necklace and suede pumps capped off her trousers. 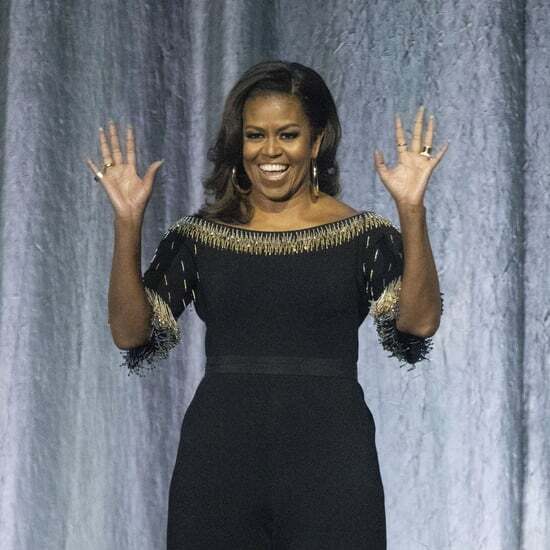 Yep, this is one boss lady look to be remembered. 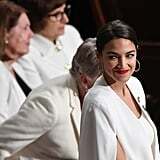 It's not the first time Alexandria's acknowledged fashion in her political world, and it certainly won't be the last.